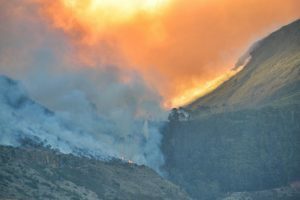 Wild fires in the Western Cape – the authorities should take full responsibility! Pointing fingers at arsonists misses a very big part of the wild-fire picture. The people who are really to blame for the damage that the recent wild-fires have caused are the decision and policy makers – at national level (i.e. DAFF, DEA, SANParks), in provincial government (e.g. 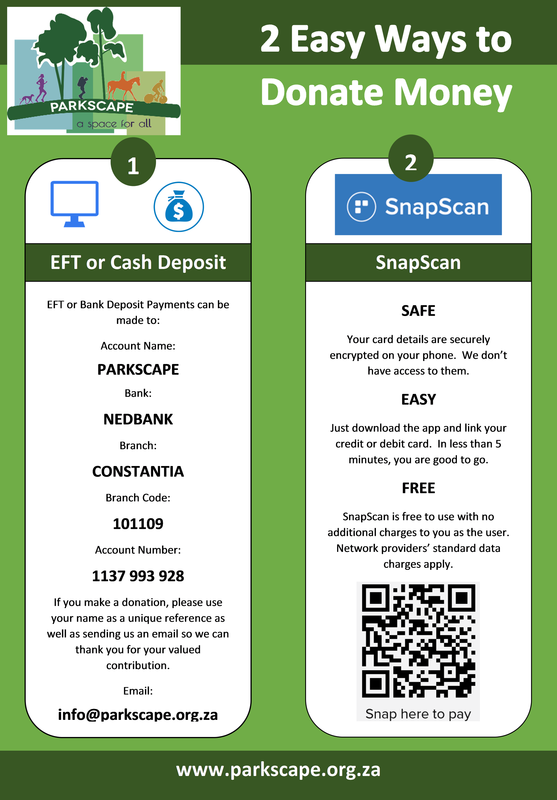 CapeNature, and the Environment and Planning Department), and the City of Cape Town (not so much the City Parks Department but more so the Spatial Planning and Urban Design people). Most of the people within these authorities are engineers, architects and planners with little or no ecological expertise or appreciation. As a consequence, there is a lack of professional understanding of how development should be steered in environmentally sensitive areas (particularly fynbos). Why do I say this? And on what basis can I make such grave accusations? Quite simply, as a plant ecologist, I have witnessed in the last 20 years and more a massive change in the manner in which the local environment has been miss-treated by the authorities – not least with respect to fire control and containment by the so-called conservation agencies; SANParks, CapeNature and to a lesser extent the City (where at least there are one or two professionals qualified in managing fire and vegetation in an urban setting). Another example of this lack of understanding of plant ecology is that the authorities have allowed infrastructure development in environmentally sensitive and unsafe areas; and continue to do so (take the Phillipi Horticultural Area housing development debacle replacing productive farmland with housing). Yet another excellent example is where thatched roofed, wooden dwellings are built surrounded by fire prone vegetation (e.g. the Silvermine overnight facility on the Hoerikwaggo Trail that was razed in 2015). A final excellent example is the canalizing of the rivers on the Cape Flats resulting in a drying out the wetlands that previously not only “cleaned” the water but slowed it down, allowing vitally important ground-water re-charge. The only explanation I have for such inept management is that the majority of modern Sapiens has completely lost touch with Nature. Most of us know that fynbos is a unique vegetation type, but many do not comprehend the fact that this enormously diverse region was moulded by fire over millennia – and that without fire we would not have the rich biodiversity we enjoy in the Cape Floristic Region today. Yet the “authorities” are obviously ignorant of these evolutionary drivers and treat development and management in a Eurocentric fashion. Why then is it that we do not use local African expertise to guide us? The only plausible explanation is that amongst the biodiversity conservation professional there is a division between those of us who recognise human needs as a key factor in environmental management and that conservation is a human construct, versus those that simply want to manage biodiversity for biodiversity’s sake (the latter considering that Sapiens is totally culpable for all damage caused and that modern humans should suffer for what our predecessors did). The difference between the purists and my approach is that I blame the authorities for the current dire situation rather that the general public. The irony is that developers and governments have exploited these differences for their short-term monetary gain. Long-term, however, it is up to all of us to ensure our own safety and wellbeing. This situation can only be resolved by us demanding better all-round management that takes into consideration the ecological and human imperatives. In the past fynbos was block-burned to avoid excessive biomass accumulation, and to create a mosaic of different ages of fynbos so wild-fires could be more easily managed. In addition, there was also a network of fire-breaks that were well maintained annually to enable fire-fighters to contain wild-fires more easily. For those Capetonians old enough to remember there was once an inter-departmental/governmental “Cape Peninsula Wild Fire Protection Committee” whose task it was to ensure the Cape Peninsula was properly managed so that any wild-fires could be more easily contained to prevent excessive damage “to life and limb”. In the past, it was the Peninsula where most people were threatened by wildfires. Today this situation has changed with urbanisation stretching higher into all the mountainous areas in the Western Cape. I also believe that back then people were more in-tune with nature, such that they took responsibility to ensure their own properties were safely sited and fire-proofed. Urban expansion and densification that has been allowed by the City has placed additional pressure on the urban/fynbos edge, and the siting of dwellings within highly flammable vegetation makes matters even worse. It is not just here in the Cape where Sapiens has lost their way. 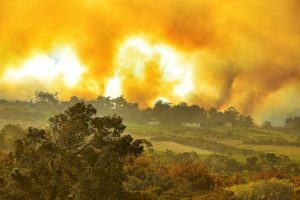 In recent years devastating wild-fires have ripped through Mediterranean-climate countries for example California and eastern Australia, where First World management ignores the ecological imperative of vegetation fires being the norm. Thus, the lack of ecological understanding by Sapiens is not just limited to the Western Cape but is a global malady of our species becoming increasingly divorced from Nature. Today in South Africa we concentrate the vast majority of resources on fighting fires when they occur, rather than preventing the spread of wild-fires. Wild-fires that can be best limited by proper ecological management of the vegetation in the safe fire-season, by having effective fire-breaks, and by making sure local residents are well educated about the dangers fire and especially of wild-fire. The reason for this about-face in policy is that fire departments, that now deal with vegetation fires, have evolved from urban teams. This means we now concentrate on extinguishing wild-fires once they have started rather than managing biomass and fuel accumulation beforehand – to prevent and contain fires when the weather conspires against us in favour of run-away fires. Matters locally in the fynbos are now also complicated by excessive alien vegetation encroachment, partly as the result of the removal of well managed plantations, and because these alien infestations are not being effectively removed – despite all the money thrown at the problem. All this lack of understanding of fire ecology and the absolute requirement for proper preventative management means that when the conditions are right wild-fires pose a huge danger – exacerbated by people in our community who take some sort of sadistic delight in starting fires. Together, these factors are a recipe for catastrophe. From memory, and looking at the area where the fire raged on Wednesday 11th January, this is a part of the Peninsula with dense alien infestations (in some parts the aliens had been felled and gathered into piles to dry) as well as areas of old fynbos (which are massive stands of flammable biomass) that I argue should have been subjected to managed burns at a safe time of the year and safe-guarded by appropriate fire-breaks. Capetonians will remember other devastating wild-fires in 2015 and 2000. What have we learned from these? Very little, it seems. The fact is that when the fires rage there is a lot of remarkable and extremely brave action, a lot of talking, and some amazing deeds of humanitarian action. But once the months pass we simply forget and return blissfully to our world totally divorced from Nature’s reality. The lack of awareness concerning the current drought is just another case-in-point where Sapiens shows a remarkable degree of ignorance and arrogance. Today, because we all depend on “the authorities” to guide us and take responsibility for our welfare, we simply trust that things will improve. However, from where I sit things are in fact getting worse, much worse! Perhaps it is time for a real wake-up call and for people to start taking responsibility for their own actions? To do so people need to educate themselves and endeavour to understand the ecological drivers of fynbos, while at the same time lobbying their local members to make environmentally sound decisions, and to return to some old-fashioned appreciation and respect of Nature.